Healthy skincare habits begin early. By taking steps now to protect your baby's delicate skin from the sun's harmful rays, he can enjoy a lifetime of healthy skin. Babies under 6 months should not spend any time in the direct sun. Because your baby's own photo-protection is still underdeveloped, sunburn can occur despite your best sun blocking efforts — and it may take only 10 to 15 minutes for his skin to burn! Even older babies (and children) should avoid exposure to direct sun for any extended period. They should always wear protective clothing and sunglasses. Check with your pediatrician or other healthcare provider about using a broad-spectrum sunscreen (with UVA and UVB protection and an SPF of at least 30) that's formulated just for babies. As your child grows and matures far past babyhood, continue to ensure that his skin is carefully protected from the sun. By establishing healthy habits, you can provide nurturing care for your baby now, and for years to come. 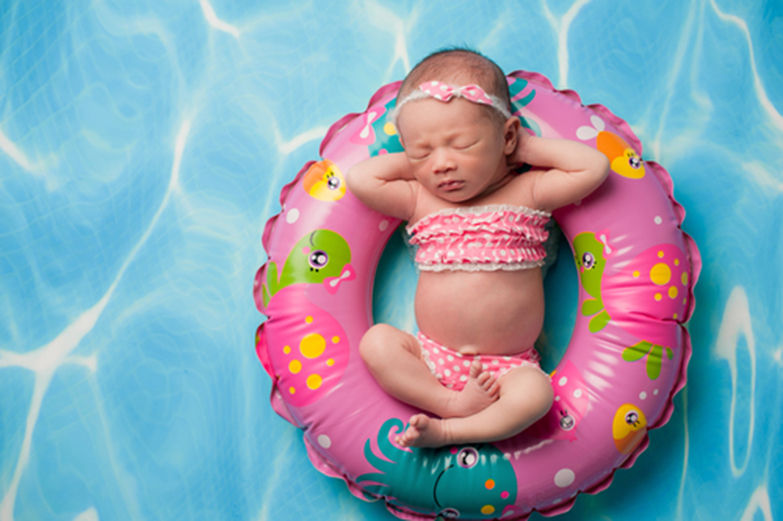 A baby’s delicate skin should be kept out of the sun as much as possible. Visit BabyCenter® for even more ways to help keep your baby sun-safe.